There is 1.98 mcg of Vitamin K in 1.0 plum with liquid of damson plums (canned, purple, heavy syrup pack, solids and liquids). If the only thing you ate today were damson plums (canned, purple, heavy syrup pack, solids and liquids). You would have to eat 45.45 plum with liquids in order to get your 100% recommended daily value of 90mcg of Vitamin K.
Similarly, in order to get 50% (45mcg) of your daily recommended value of Vitamin K. You would have to eat 22.73 plum with liquids of damson plums (canned, purple, heavy syrup pack, solids and liquids). Additionally, you would have to eat 11.36 plum with liquids of damson plums (canned, purple, heavy syrup pack, solids and liquids) to get 25% (22.5mcg) of your recommended daily Vitamin K.
How does the Vitamin K content in damson plums (canned, purple, heavy syrup pack, solids and liquids) compare with other foods? 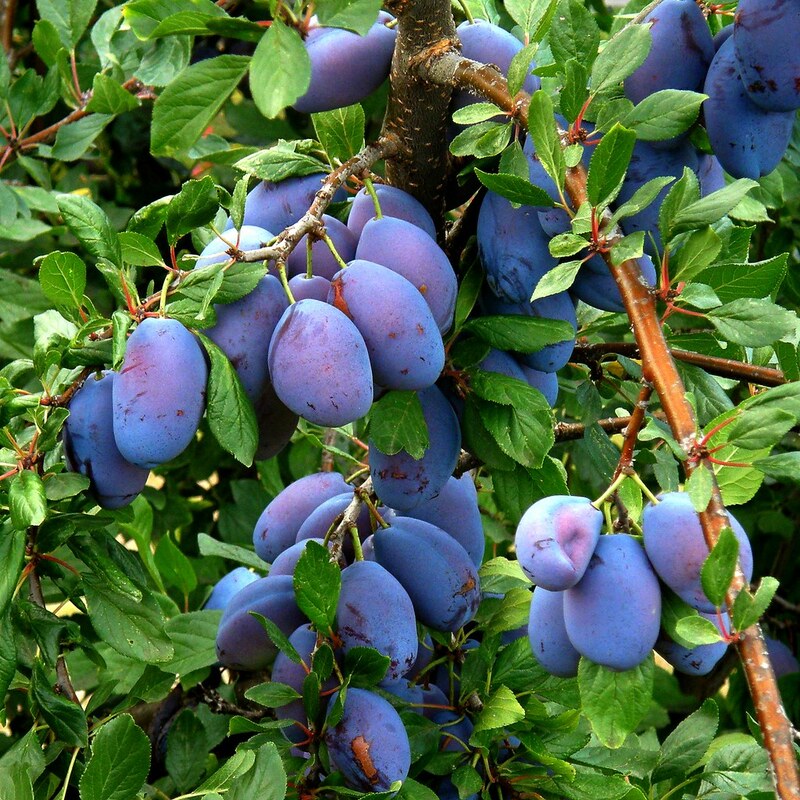 Here are some examples of foods that compare with damson plums (canned, purple, heavy syrup pack, solids and liquids). Fig.1. OliBac, "prunes / plums," Published August 27, 2009. https://www.flickr.com/photos/olibac/3861462754/. Accessed August 2, 2015. "Plums, canned, purple, heavy syrup pack, solids and liquids", NDB 9284, U.S. Department of Agriculture, Agricultural Research Service. Nutrient Data Laboratory. USDA National Nutrient Database for Standard Reference. Nutrient Data Laboratory Home Page, http://www.ars.usda.gov/ba/bhnrc/ndl. Accessed October, 2014.